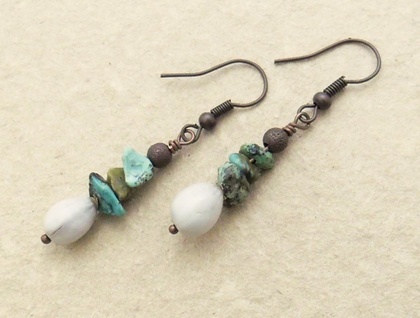 These earthy earrings feature stacked chips of semiprecious turquoise atop pale grey Job's Tears, topped off by small 'stardust' (textured metal) beads in a dark, antiqued-copper colour. Job’s Tears are seeds which dry hard and smooth, and have a natural hole through their centres, making them perfect to use as beads. They are also called Mary’s Tears, coix seeds, and a host of other names. The scientific name is Coix lacryma-jobi. Job’s Tears are used in cooking and medicine in some cultures. 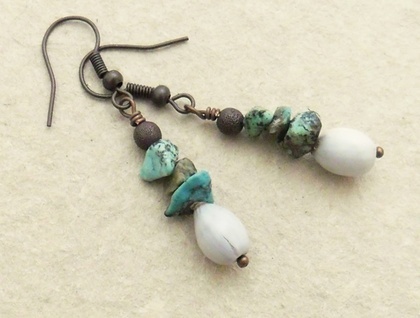 These Job’s Tears beads have been repurposed from a beaded curtain which broke. Turquoise is a semiprecious stone that has been mined for thousands of years. It has been worn by rulers of the ancient Egyptians, the Aztecs, Persians, and others. The famous burial mask of Pharaoh Tutankhamun is inlaid with turquoise, lapis lazuli, and other semiprecious stones. 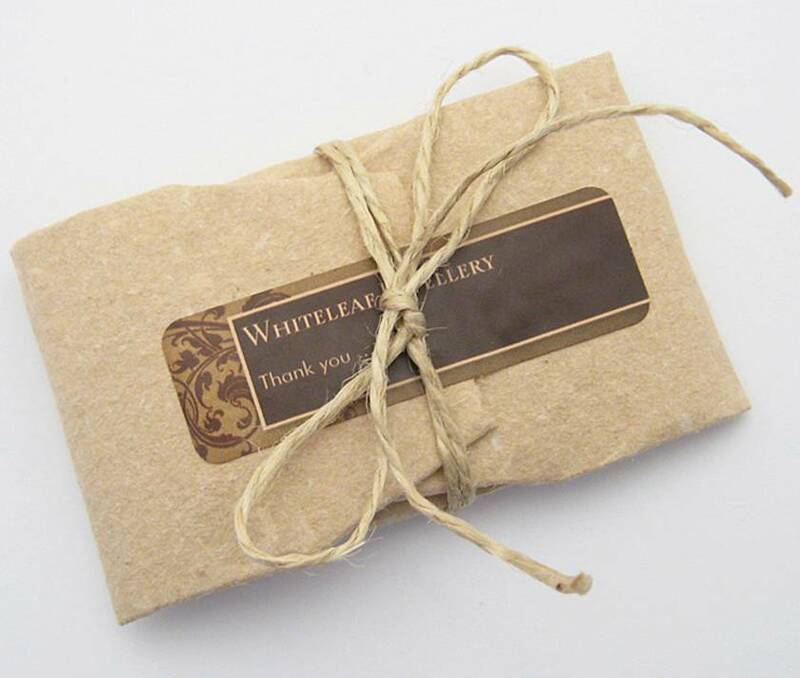 The 'Leaf Litter' earrings measure approximately 49mm from top to bottom. From the bottoms of the ear hooks, the drops measure 31mm long, and the Job's Tears seeds are between 6-8mm across at their widest point. 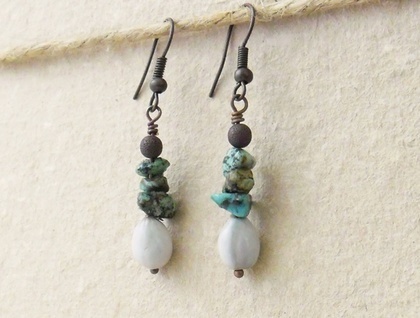 The earrings are lightweight and easy to wear, and the ear hooks are without nickel.